Ladies and Gentlemen, it seems like I’ve finally reached the end of my never-ending search of the perfect camera backpack! Over the years I’ve used many bags, backpacks and storage solution for my cameras. And always have there been downsides and drawbacks to the options out there. Well, technically: Along comes Allan Henry, who, like me, was fed up with there lack of a perfect camera backpack out there. 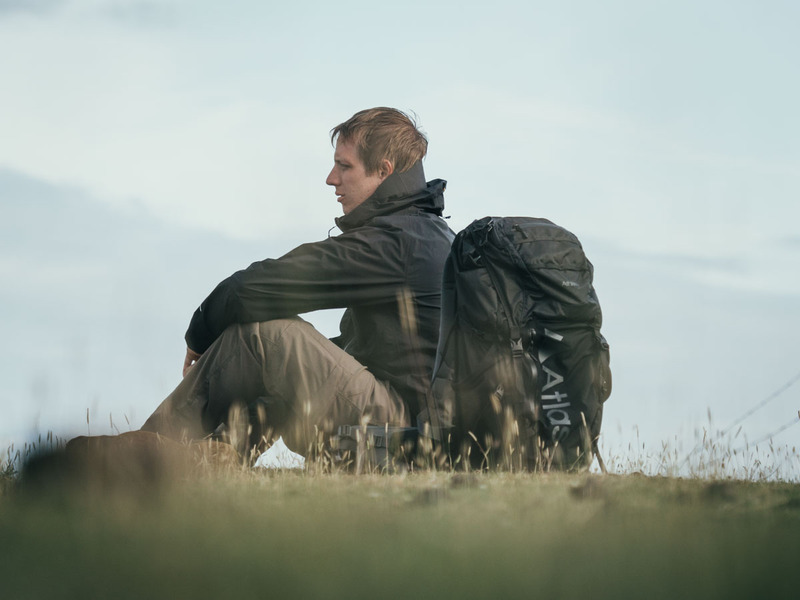 However, unlike me, he did something about it and designed and released his own series of backpacks: The Atlas Packs. 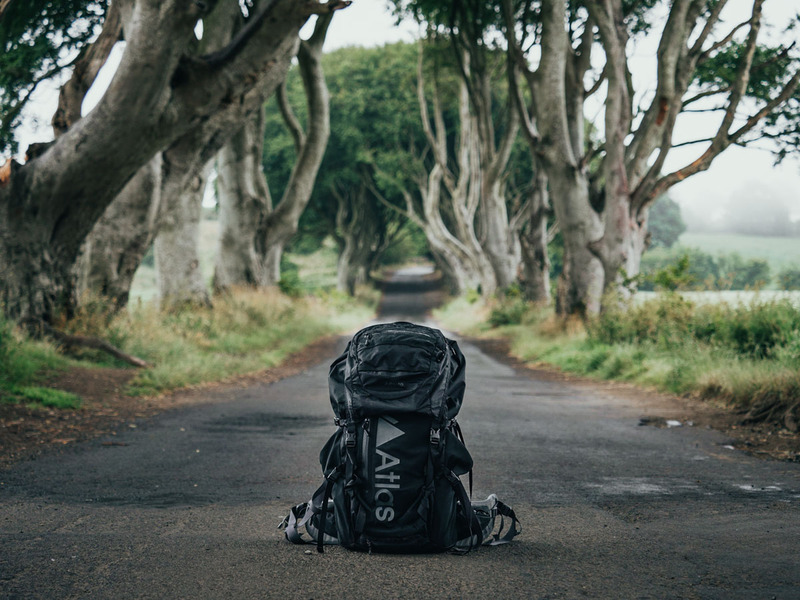 A smaller, carry-on compliant backpack: the Atlas Athlete Pack and a larger, multi-purpose backpack: the Atlas Adventure Pack. 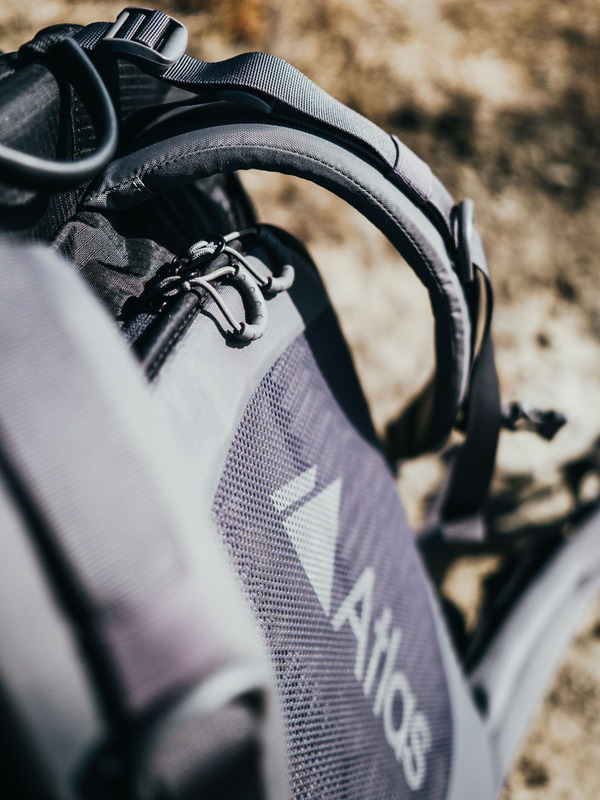 I own both packs but have mostly been using the Atlas Athlete Pack in recent months as I’ve had multiple projects that suited this backpack. However, I will be reviewing the Atlas Adventure Pack in a future video and an accompanying blog post. Sign up to my Newsletter and YouTube Channel to not miss out. So why did I switch? Well, I was tired of my F-Stop AJNA backpack. 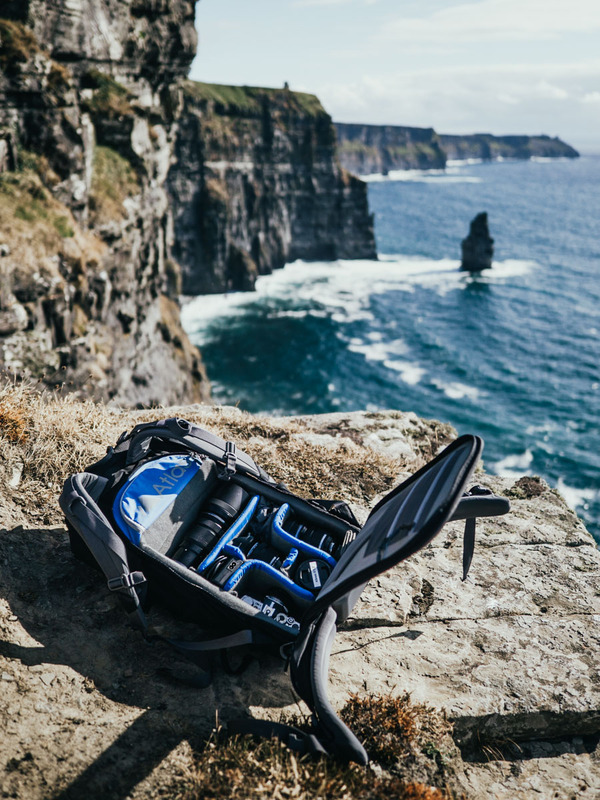 It’s the largest carry-on compliant bag F-Stop Gear makes, and when fully loaded is totally uncomfortable to carry. And guess what, I very often fully load my bag for multi-day trecks, camping trips, long hikes… you name it. Unlike the previous bags I used from Fstop Gear, the Atlas Packs don’t come with the removable ICU (Internal Camera Unit) system. Reason for this is that a backpack with ‘built-in internals’ is much more space saving. It allows for more ‘empty space’ which in return means a smaller bag with more space. This means, the bag actually looks smaller than equivalent Fstop bags, but ultimately has more storage space. Neat! Plenty of camera storage space! A built-in camera compartment also means that the bag is more solid. Even when empty the bag holds its shape and therefore is comfortable to carry in all situations. 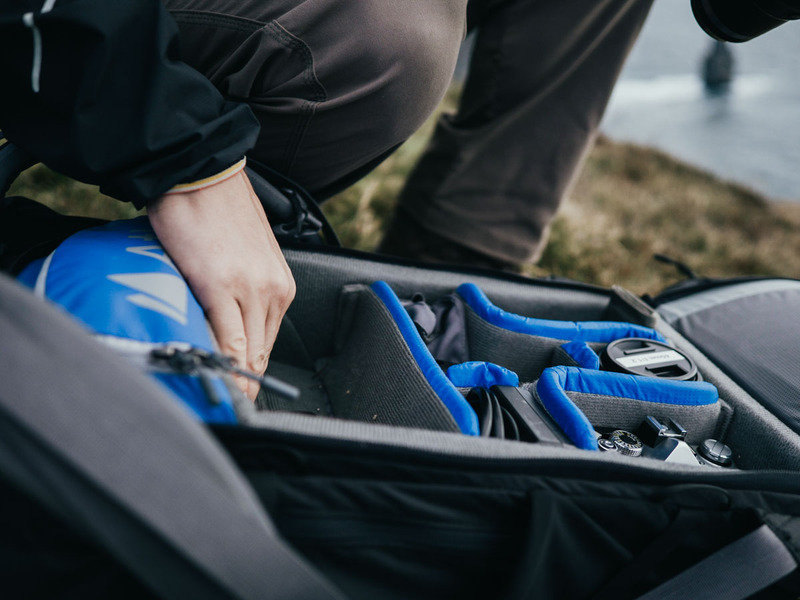 It even features a smart ‘Origami System’ that allows you to choose between making the camera compartment larger, or using that space in the main backpack compartment. Genius! Ever tried adding a small ICU to a large Fstop Gear backpack and then filled the bag with other equipment? It totally loses shape and becomes a real pain to carry. 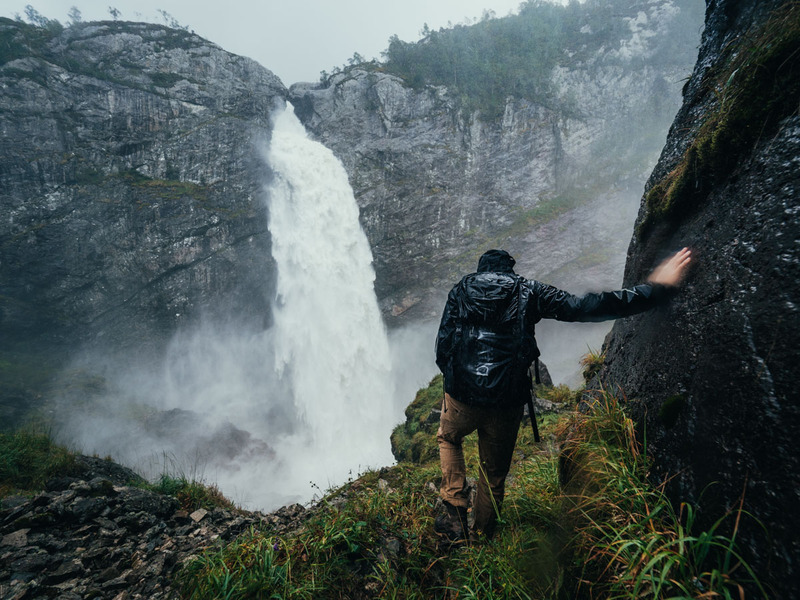 A big issue when you’re hiking with multiple days worth of outdoor gear! This bag is made to last! 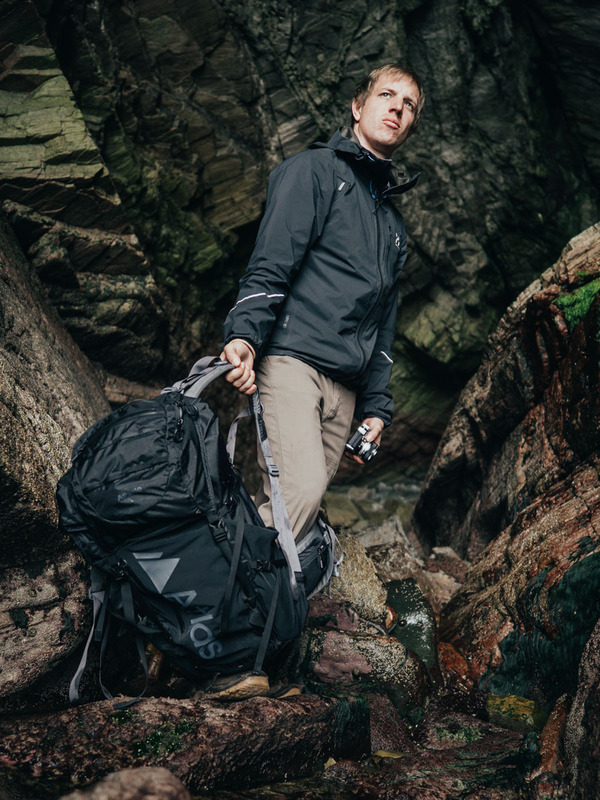 The Atlas Athlete Pack is made of weather-resistant ripstop nylon, has reinforced bottom side. It has a removable, metal frame which keeps the bag in shape and allows for the weight to be distributed to the waist belt providing extra carry comfort when the bag is fully loaded. The pack is also washable and comes in various frame, waist belt and shoulder straps sizes. Yes, you heard me, this bag is designed with different sized people in mind! 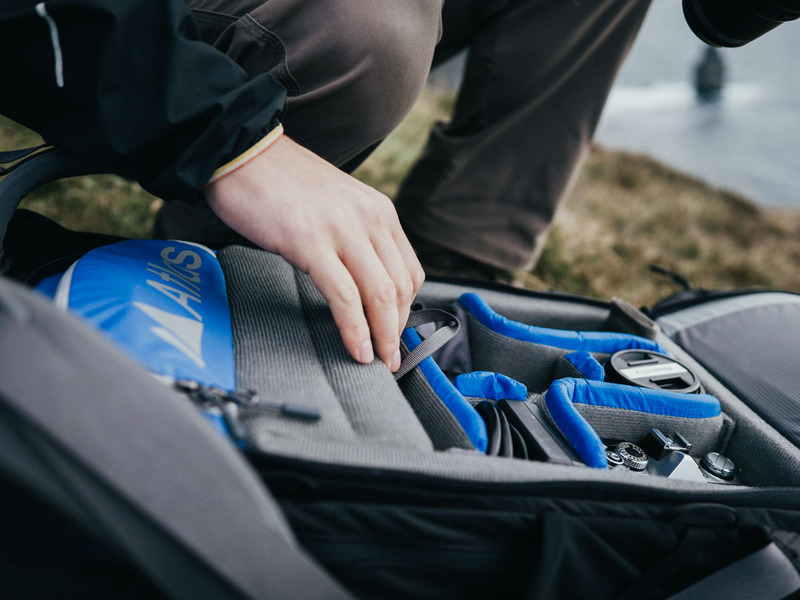 Like most camera backpacks the Atlas Athlete Pack has a back opening and provides access to the camera compartment. Since it opens behind the waist belt it allows for large, full access. This is the only access to the camera compartment btw. which means extra safety. Well padded and adjustable shoulder straps help to get extra comfort. Additionally, you’ll find a zipper that gives you access to the main bag compartment (on the tall version of the Athlete pack). So you can access the main compartment from the back, but can’t access the camera compartment from the main compartment. Smart! It has a large, expandable upper opening with padded laptop sleeve (which fits a 15” laptop) in the inside and multiple compartments in the lid of the bag. 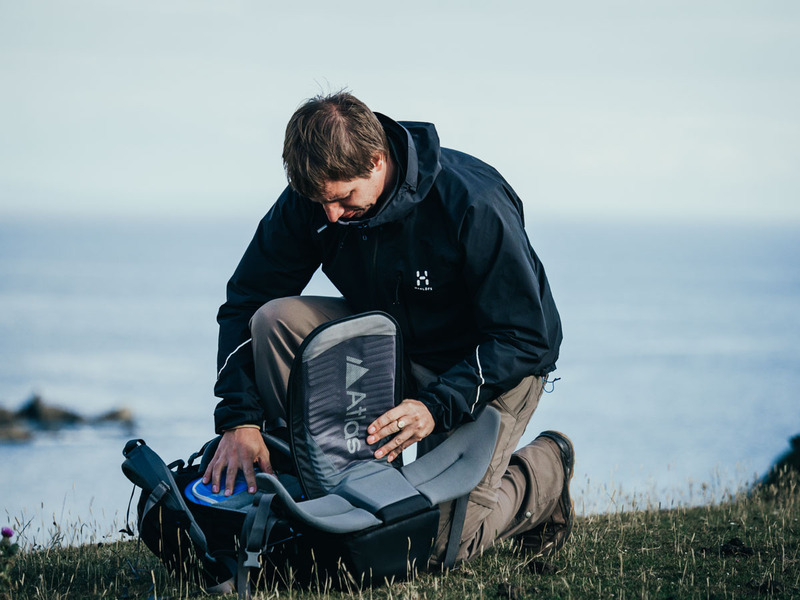 Further, you’ll also find expandable side pockets for bottles or tripods, and on one side, a vertical zipper along the side of the bag for securing a larger tripod/water 2L bladder as well as a flexible elastic compartment on the outside that stores wet gear away from the rest or additional clothing. And there’s another smaller zipper pocket on top of that elastic compartment. A compartment on the front of the bag. Good zippers make all the difference! There are small zippers on the waist belt that unfold quick access pouches that will fit a water bottle, snacks or a lens. Great for when you’re hiking and want easy access to these things without having to remove the bag from your back. You get it, this bag is packed with well thought out storage compartments! While the camera compartment is quite shallow, the storage area inside the main bag is incredibly expandable. Once you loosen the side buckles this bag turns from a 20L bag into a 40L bag, without losing shape or becoming over-stretched. 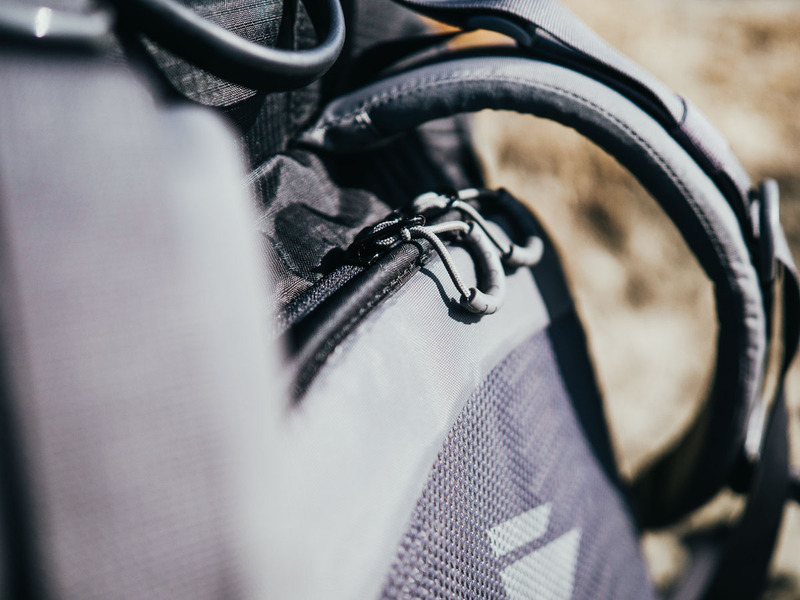 Suddenly, this carry on compliant, small bag turns into a backpack that can easily store enough additional equipment for a multi-day hike. Now that’s what I call Great Design! Putting my pack to the weather sealing test in Norway. The one thing that annoyed me the most with my previous bag was the utterly useless waist belt and lack of padding on the shoulder straps. It made the fully packed bag a nightmare to hike with. The Atlas Athlete Pack is the opposite! I haven’t managed to overpack this bag yet and never has it been uncomfortable to carry. Again: great design! 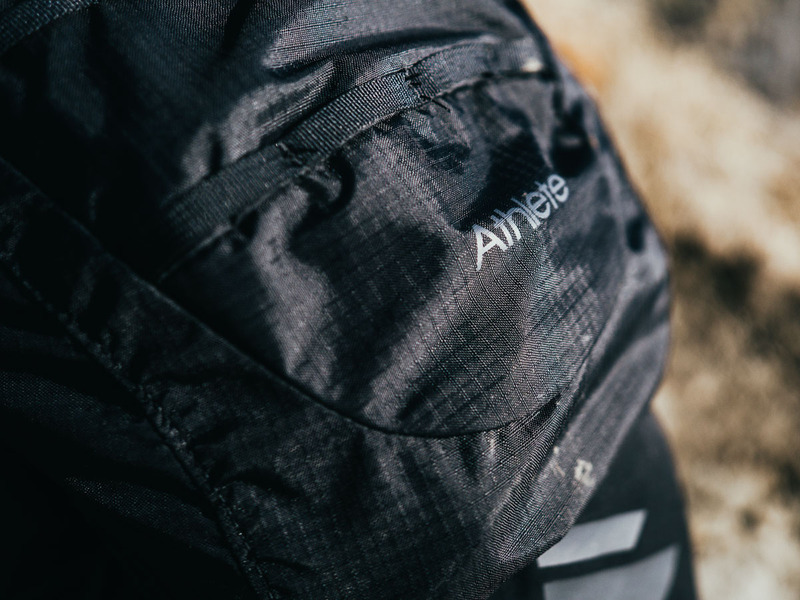 Additionally, on the Atlas Athlete Pack, you can remove the waist belt entirely from the bag. New profile picture or what? As silly as this may sound, being able to load a large battery pack, my phone, notebook, some cables, my headphones and a few little bits and pieces into the lid is a big deal to me. It’s a super quick access area that I’m constantly adapting to my needs and the project I’m on. Additionally, the smaller compartment on the very top is a great spot where my passport, keys and wallet live. It’s in the details! The zippers and zipper grips on this bag are, hands down, the best I’ve used. The world's best zipper grips. Just perfect! A little neat feature that lets me decide if I want extra camera storage space or additional volume inside the main compartment. This is an excellent solution to those people who do like the ICU system as it basically gives you 2 camera bags in one. Very neat! So what are the downsides you ask? The ‘Atlas’ branding is rather large… but then I like the logo and don’t mind it. The camera compartment is quite shallow. Not ideal for big camera bodies with lenses attached. But, according to Allan, that will be addressed in the next version of this backpack. For me, as a mirrorless shooter, it’s no problem really. 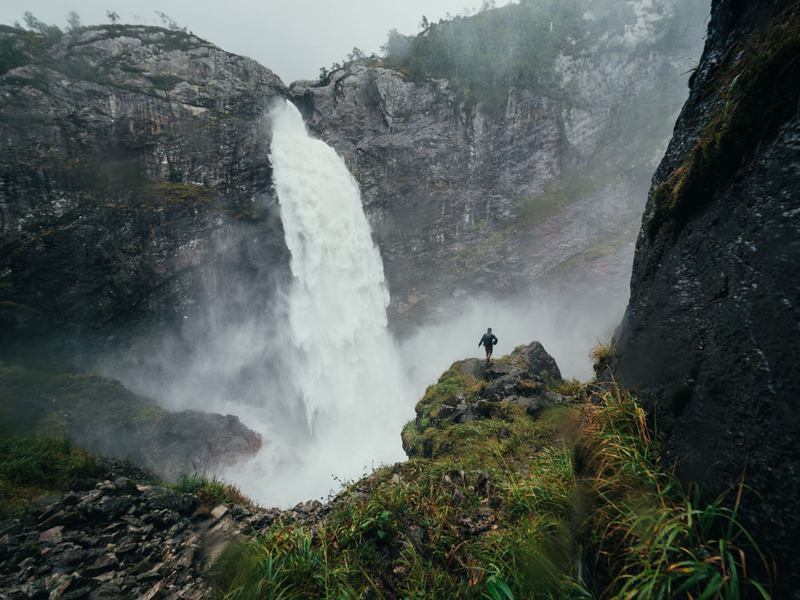 After spending a couple of days in torrential downpour in Norway (literally buckets of water!) and not using the rain cover (I wanted to test the weather resistance) I found that the bag could be a little more weather sealed, but honestly, if you use the included rain cover you’re probably not going to ever see a single drop of water inside your bag. All in all this bag is pretty close to perfect! 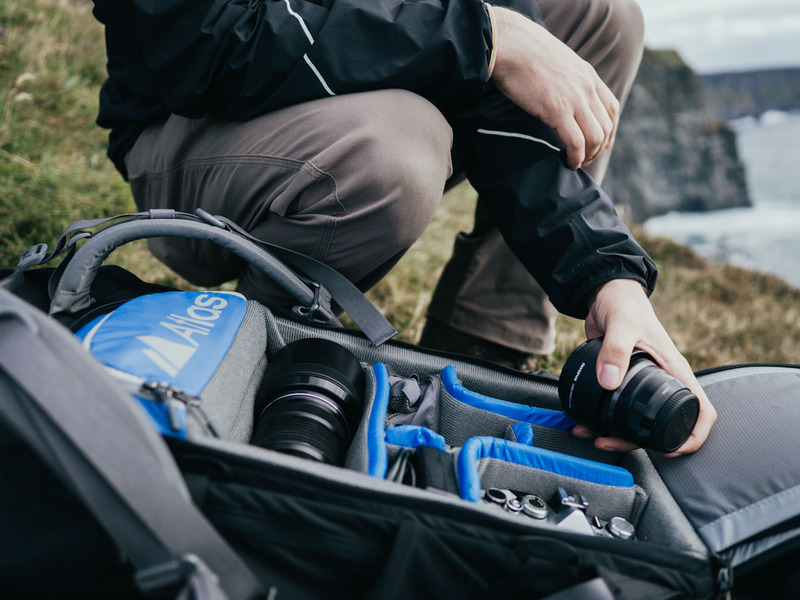 If you’re on the lookout for a new camera bag that’s also a great backpack, search no further. Atlas Packs ticks all the boxes. 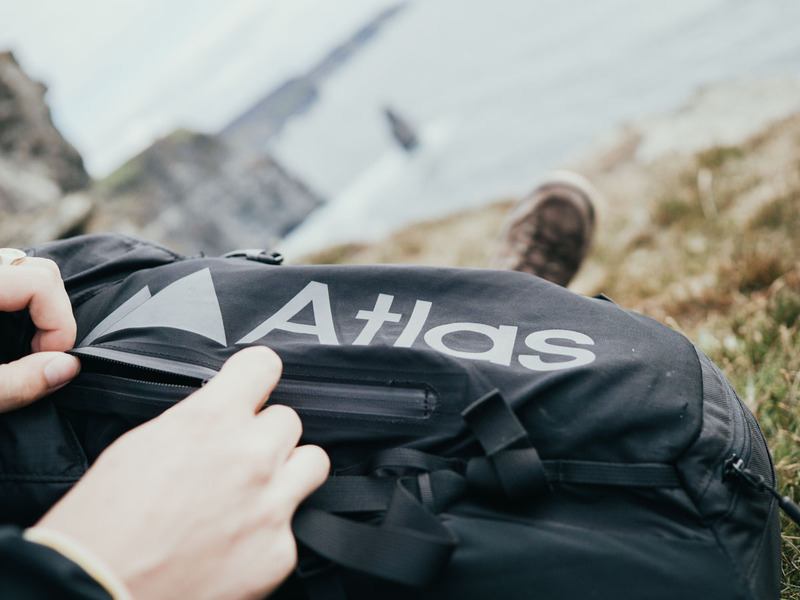 One of the things I like a lot about the bag is the brand behind it Atlas Packs is run by person who is a real photographer who cares about his customers. That alone is worth A LOT! He will listen to your needs and will always be happy to advise what bag is best for you. More importantly, he knows his product isn’t perfect (yet) and he wants feedback. He’s eager to improve his bags and actually listens to what you have to say and that makes me proud to be wearing his product on my back and to add his logo alongside the other brands I partner with. Enjoyed review and vlog Is this available to purchase in the UK? It’s not directly available in the UK. But I’d reach out to Allan directly via Instagram (he runs Atlas Packs) and ask for more details. He also ships to the UK from the US. So that’s always an option.